Highly sought after Birdland neighborhood! This Heritage model has been meticulously & lovingly maintained by the original owners. Bedroom & full bath downstairs, perfect for in-laws or guests. The eat-in kitchen overlooks the spacious backyard & features tile counters, walk-in pantry. The family room offers a cozy wood-burning brick fireplace with raised hearth. Formal dining room & large living room ideal for entertaining. Inside laundry with overhead shelving. Newer dual pane hi efficiency windows, newer concrete and paver stone driveway, newer insulated garage door with whisper quiet motor, lifetime concrete tile roof with aluminum gutter system, Trane furnace & AC with Clean Effects Air Cleaner. The exterior of the home offers professional landscaping with automatic sprinklers, new redwood fence & gate, brick patio with solid roof cover & porch swing. Convenient to 580/680. 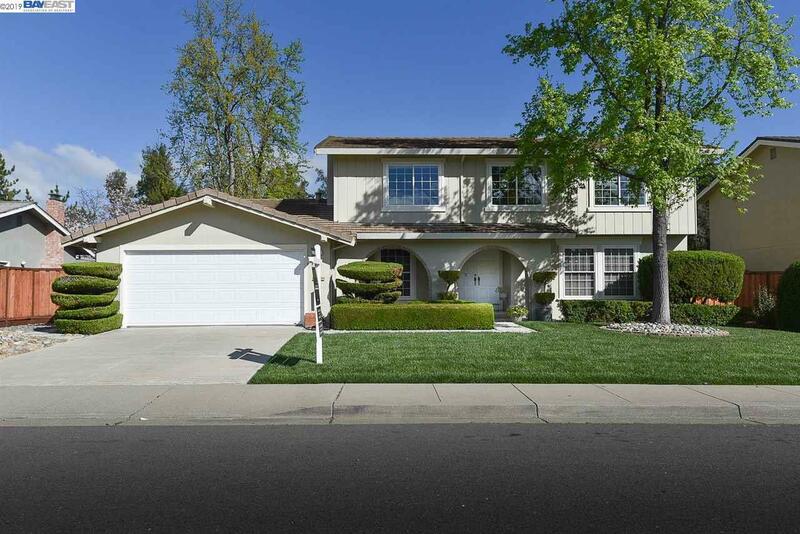 All of this plus walking distance to award winning K-12 schools, Pleasanton Sports Park, shopping & dining.